The Litemat Plus 4 is a bicolour LED light panel that creates soft light through pixelisation. 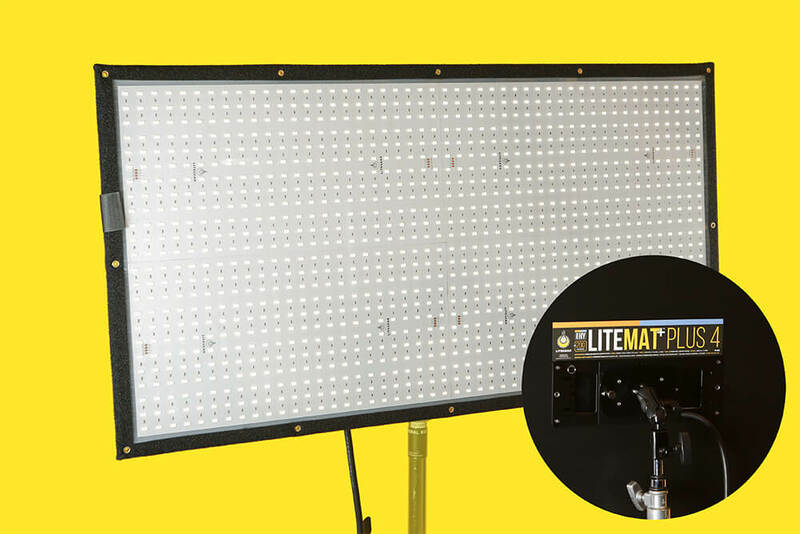 The LiteMat Plus 4 is an exceptionally bright, light-weight (at just 2.2 kg) and extremely versatile light panel. The Litemat+ Plus 4 light head unit features 2304 new CineMitter LEDs. A distinct feature of the CineMitter is the extended Kelvin range. The lower CCT to 2600 degrees Kelvin, a unique element of the Litemat Plus, allows for a candlelight or deep-tungsten output while increasing the CRI to an astonishing 95+ rating— nearly indistinguishable from traditional incandescent sources! On the cool side, the CCT was pushed up to 6200K to better balance for overcast sky or cool white fluorescents. This increase in CCT still achieves a CRI of 95+ and provides beautiful, full-spectrum daylight. Additionally, the “soft-through-pixelisation” method allows the LiteMat+ Plus 4 to achieve surprisingly bright light levels. The Litemat+ Plus 4 mounting is provided with a Kino Flo-compatible, removable gimbal mount. Light comes with a snap grid and three types of diffusion (full, half and ¼). Power distro/dimmer is magnetic – great for attaching to your c-stand!